The BrakeRite Electric / Hydraulic Brake (EHB) System by Titan is an electric over hydraulic braking system using electric power from the towing vehicle electrical system. As the brake pedal of the towing vehicle is depressed and the brake lights come on, the BrakeRite EHB system is activated when the towed vehicle brakes are applied. The electronic control package inside the BrakeRite EHB is turned on by the signal used to control the pressure as sent from the in-cab electronic brake controller (sold separately 74-90195). This pressure is maintained on the towed vehicle brakes until the towing vehicle brake pedal is totally released. It is very important that the driver NOT RIDE THE BRAKE PEDAL as this causes constant drag on the towed vehicle brakes and will cause the towed vehicle brakes to prematurely wear or overheat. Actuator can handle up to 4 axles. A breakaway kit (sold separately 74-034-285-00), to be mounted on the trailer, is also required to supply electrical power in the event that the towed vehicle becomes uncoupled from the towing vehicle. The breakaway battery must have a minimum capacity of 12 volt, 8 amp. The system relies on electrical power from the towed vehicle. The system requires 12 volts DC with 14 gauge wire and 18 gauge control leads. The power draw is 16 amps @850 psi and 23 amps @ 1,500 psi. The BrakeRite EHB includes a Charge Protection circuit that is included to prevent a surge charge causing damage to the battery. A blocking diode is also included in the circuit to prevent the towing vehicle from drawing power from the breakaway battery. The BrakeRite II utilizes the proven technology and performance of the BrakeRite EHB, but simplifies the installation and replacement process by utilizing plug-in wiring harnesses. 67-4813100 BrakeRite EHB Electric/Hydraulic for Disc brakes 1500 psi max all brake controllers work. 67-4822500 BrakeRite EHB Electric/Hydraulic for Drum brakes 1000 psi max all brake controllers work. 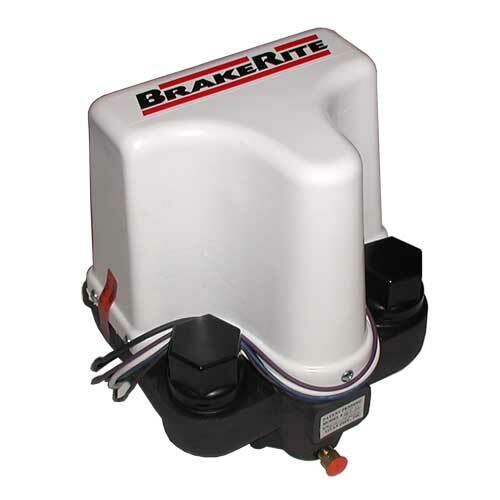 67-4834100 BrakeRite II SD Electric/Hydraulic for Disc/Drum brakes 1500 psi max. For 674835700 Kit. 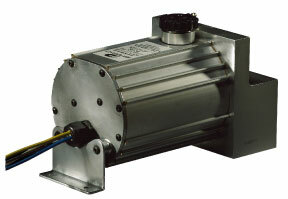 Electro/Hydraulic brake actuator for 1-3 axles. Brake fluid pressure is proportional to the electronic brake controller signal. Sealed, anodized aluminum housing provides a weather tight seal. Two year limited warranty. 67-K71-650-00 Electric/Hydraulic for Drum brakes 1000 psi max. 67-K71-651-00 Electric/Hydraulic for Disc brakes 1600 psi max.